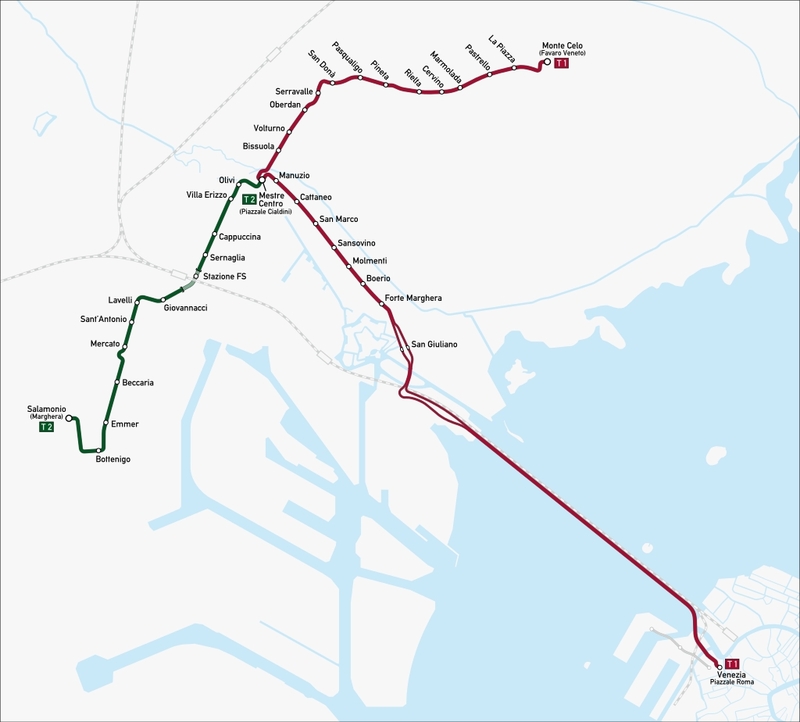 Venice first tram routes opened in 1891 (initial horse tram services in Mestre and in Venezia Lido); these lines were electrified in 1906 (Mestre) and 1907 (Venezia Lido). 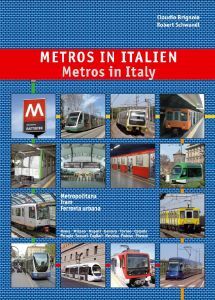 The original tram network was close in 1938 (Mestre) and 1940 (Venezia Lido). 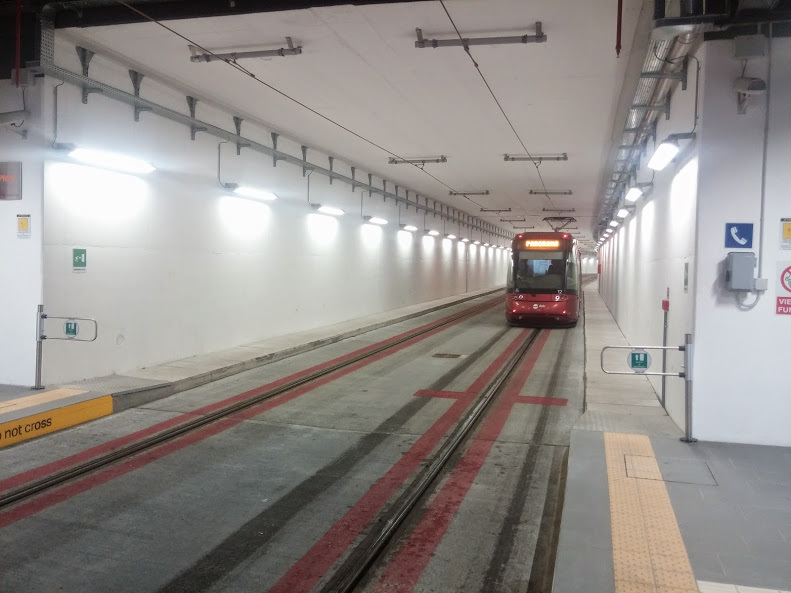 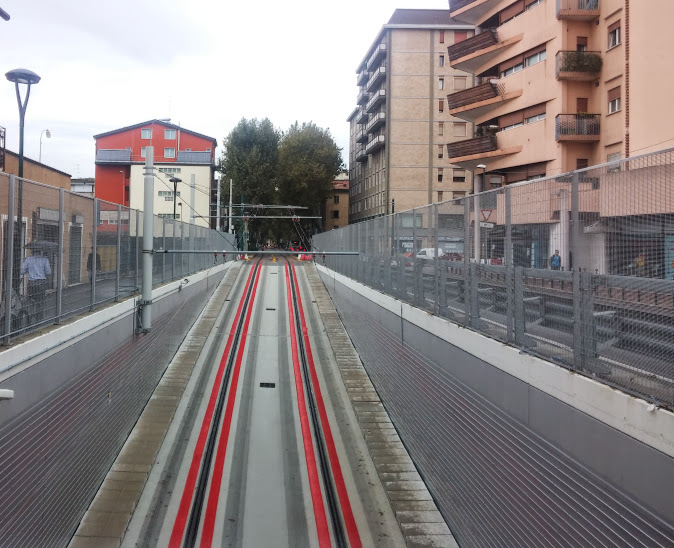 The first section (Favaro Veneto Monte Celo-Mestre Sernaglia) of an innovative tram on tyres opened on 19 December 2010; it was extended in 2011 (Mestre Sernaglia-Mestre Stazione FS), 2014 (Mestre Stazione FS-Marghera, passing underneath Mestre railway station through a new tram tunnel) and 2015 (Mestre Centro-Venezia Piazzale Roma). 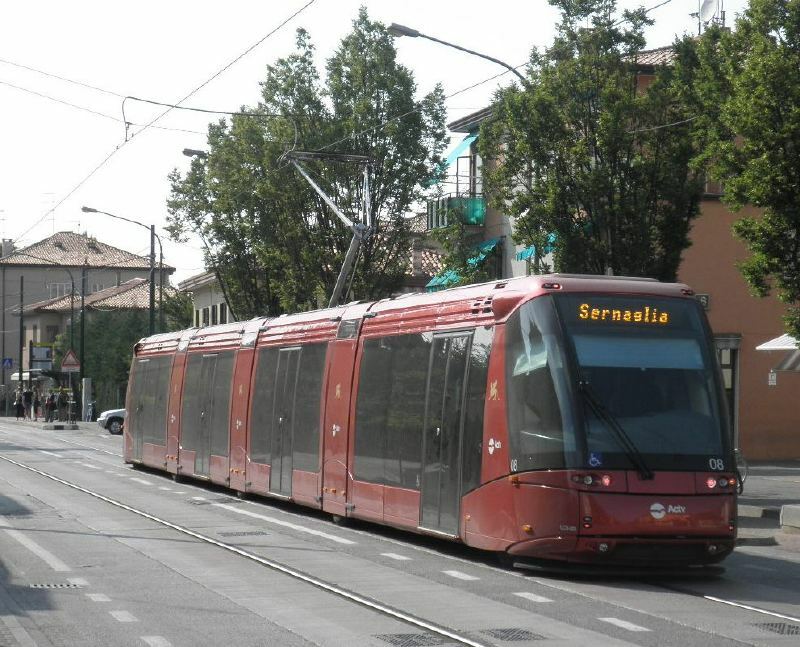 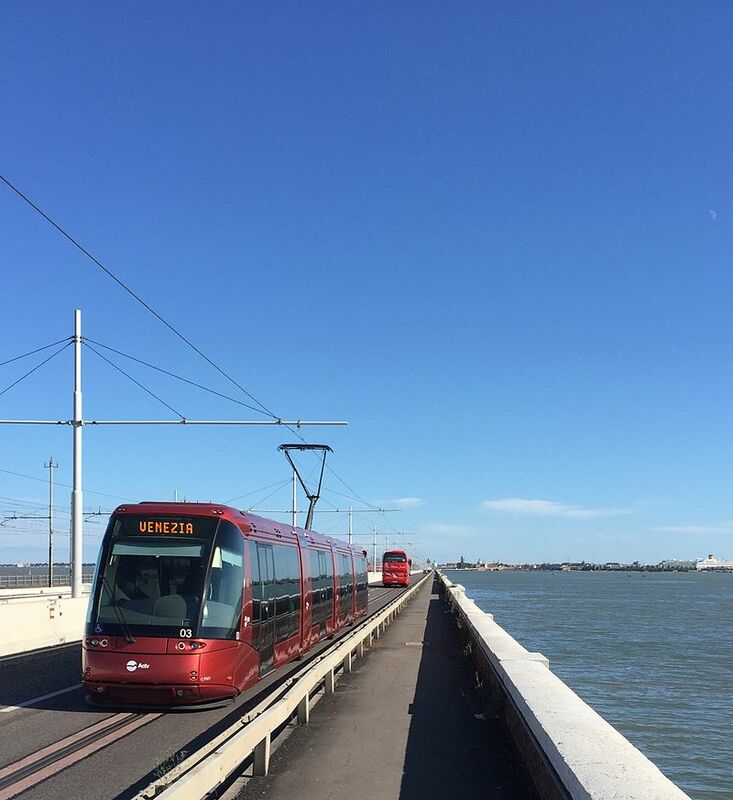 Since 2015 the tram service ia articulated in 2 routes: T1 (Favaro Monte Celo-Venezia Piazzale Roma) and T2 (Mestre Centro-Marghera).